Statistics Canada's role is vital in providing consistent data over time that tell the story of Canada's ethnic, linguistic and cultural diversity. This diversity stems from the Aboriginal people who lived here well before the first European settlers arrived, as well as from various waves of international migration. Since Confederation in 1867, more than 17 million people from all over the world have made Canada their home. 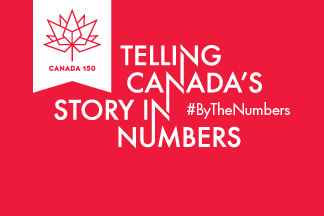 On April 25, Statistics Canada celebrated Canada 150 and its ethnocultural diversity. Our guest speaker, Peter S. Li, Sociology Professor Emeritus at the University of Saskatchewan, shed light on the ‘construction of diversity in Canada’, based not only on demographic realities but also on normative values at different points in time. His presentation was followed by a panel discussion with experts from various fields and audience questions. This event brought together academics, historians, students, policy makers, community organizations and practitioners in a discussion to advance our collective understanding of diversity in Canada. When: Tuesday, April 25, 2017, from 1:00 p.m. to 3:30 p.m.